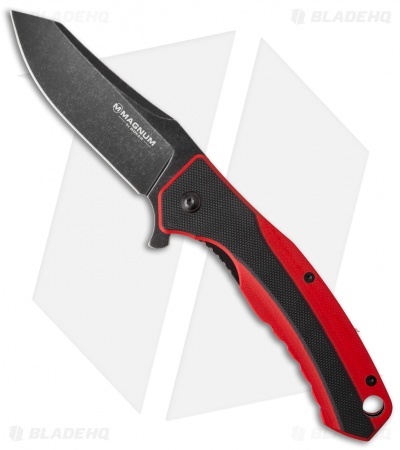 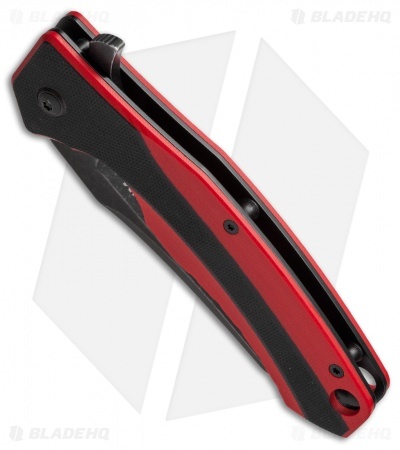 The Boker Magnum RB Tree features a compelling design with red/black G-10 scales. This knife is easily opened one-handed using the flipper. 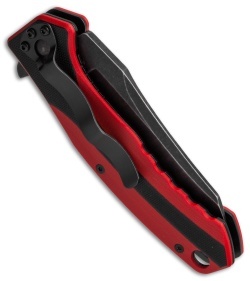 The blade, stainless steel liners, clip, and hardware have a black coating. 440A stainless steel blade provides excellent corrosion resistance. Red/black G-10 scales offer a comfortable, secure grip. A Black stonewashed blade, liners, clip, and hardware give the knife a unified aesthetic.